A super tacky foam filter treatment which effectively stops the ingress of sand, dirt and dust into the engine. 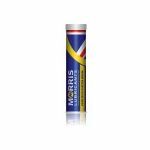 Minimum quantity for "Morris Race Foam Filter Oil" is 1. Golden Film AG Gear Oils are a range of mineral oil based lubricants, formulated without extreme pressure (EP) additives. These oils have good natural film strength, anti-foam performance and long term stability. Fork Oils are made from selected high quality mineral oils and performance additives, ensuring compatibility with all seals and other fork components. High Viscosity Index ensures smooth predictable damping over a wide temperature range. 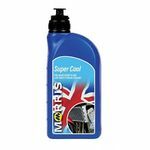 Morris V-Twin 20W-50 meets the requirements of high performance motorcycles such as BMW, Harley Davidson, Triumph and certain Yamaha models that specify an SAE 20W/50 viscosity engine oil. The formulation provides the highest possible load carrying or EP properties for highly stressed gears even at the high temperatures experienced under racing conditions. When shock loadings occur part of the special additive comes into operation to prevent failure or seizure. Race Gear Oil has an extremely low fluid friction and does not rob power at start up or during racing. Drive Gear Oil Light (SAE 75W/80 API GL4) Manufactured from an advanced synthetic fortified base, special friction modifiers and other modern additives. It is particularly effective in protecting gears from the effects of shock loading and prolonged high temperature operation. Sport 4 is a premium quality 4-stroke engine oil combining the latest synthetic performance additives with high quality mineral oils. 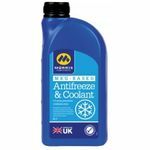 This oil provides critical cold start and high temperature performance ensuring engine component protection under a wide range of operating conditions. Super Sport 4 is a highly stable semi-synthetic motorcycle engine lubricant based on the latest developments in additive technology. Super Sport 4 circulates quickly during cold starts and provides a strong lubricating oil film at high temperatures. Golden Film Classic Oils are a specialist range of high quality, low detergent/dispersant monograde & multi-grade lubricants. 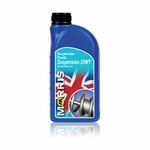 These oils are suitable for use in naturally aspirated four stroke petrol and diesel engines and classic gearbox designs. Super Sport V-Twin 10W-50 can be used in all makes of 4-stroke 600cc to 1600cc performance motorcycles, tourers, cruisers and custom machines. Suitable for highly tuned competition engines, V-Twin or opposed-twin, used by Aprilia, Ducati, Suzuki, Yamaha, Kawasaki, Cagiva, Honda and BMW. Golden Film Classic Motor Oils are a specialist range of high quality, low detergent/dispersant monograde & multi-grade lubricants. 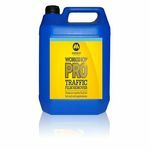 These oils are suitable for use in naturally aspirated four stroke petrol and diesel engines and classic gearbox designs. 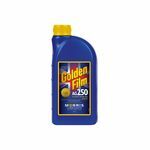 Golden Film Classic Oils are a specialist range of high quality, low detergent/dispersant monograde lubricants. 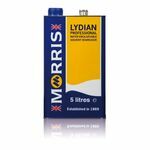 These oils are suitable for use in naturally aspirated four stroke petrol and diesel engines and classic gearbox designs. 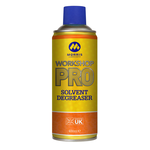 Golden Film Classic Motor Oils are a specialist range of high quality, low detergent/dispersant monograde lubricants. 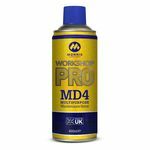 These oils are suitable for use in naturally aspirated four stroke petrol and diesel engines and classic gearbox designs. 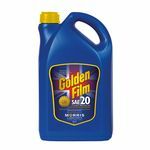 Golden Film SAE 20W-50 Classic Oil is specialist high quality, low detergent/dispersant multigrade lubricant. This oil is suitable for use in naturally aspirated four stroke petrol and diesel engines..
Castor based engine lubricants that incorporate advanced additives to enhance the natural very high film strength of these traditional oils, whilst minimising oil thickening. 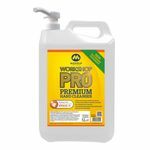 They offer outstanding wear protection for Classic racing and Speedway engines. 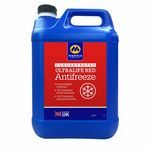 Highly suitable for both two and four stroke engines. MLR 30 is ideal for certain racing gearboxes where high levels of wear can be experienced. Castor based engine lubricants that incorporate advanced additives to enhance the natural very high film strength of these traditional oils, whilst minimising oil thickening. They offer outstanding wear protection for Classic racing and Speedway engines. Highly suitable for both two and four stroke engines. Fully Synthetic Chain Lube - protects chains from wear and corrosion. Initialy a thin free-flowing lubricant when sprayed it penetrates into vital inner pins and bushes of the chain links where it cushions against shock loading.